Located in Preston in the UK, this is a great opportunity for investors seeking rental income with a rental guarantee in place for the first five years after purchase. 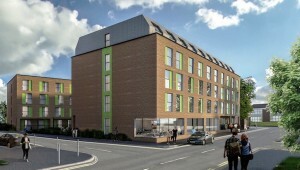 These properties have been designed as student accommodation and come highly recommended for viewing; you do not want to miss this brand new development. Within walking distance to the city centre of Preston and within the campus grounds of an international university welcoming students from over 120 countries, this is one of our top picks in Preston for real estate investment and is likely to sell out sooner rather than later. Constructed by one of the top developers in Preston, this outstanding development consists of 218 studio apartments for sale – purposely developed as student accommodation for those looking to invest in the UK. The project will be completed by September 2021 in time for new students starting a new academic year. There are two buildings within the site, and communal facilities are available for residents to use every day of the year. Facilities include landscaped gardens and walking paths outside, a branded modern gym inside, and lots more. A free furniture pack means that apartments are available as fully furnished – decorated in a neutral manner to maximise on appeal to renters and students. 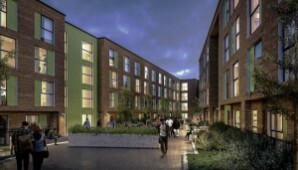 Flats have kitchenettes, open plan living area and bedroom space, and fully equipped bathrooms. A worktop and desk area provides space for studying. The developer has including a superb rental system and guarantee for the first five years after purchase. Those who buy can enjoy healthy rental returns of 9% NET per annum for the first five years, not including ground rent which is currently set at 350 GBP per year. The lease length is 250 years. One of the main selling points of these properties is the tremendous location falling within the grounds of one of the top-ten universities in the UK. 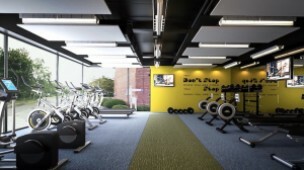 The location assures that thousands of students are available to rent the studio to on a long-term basis. Preston city centre can be reached within a ten minute walk and offers a host of facilities including shopping malls, cinemas, gyms, restaurants, and public transport for travelling to neighbouring cities across the UK.